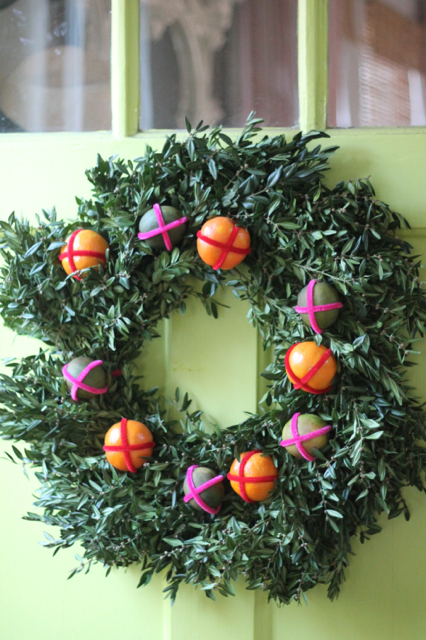 By adding a few clementines and dried key limes to a store-bought boxwood wreath, you can easily add a special look to your front door. 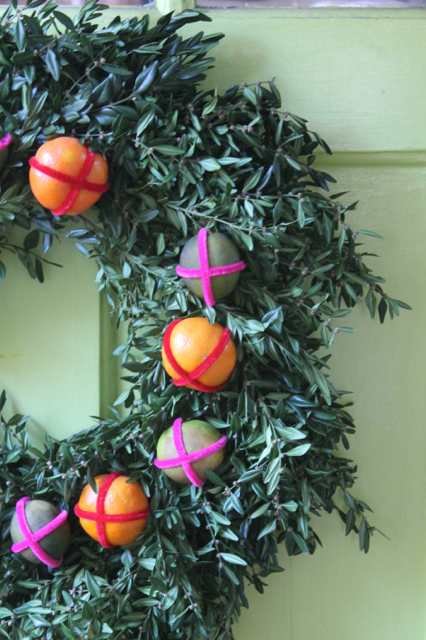 A plain boxwood wreath (Home Depot for under $20) is dressed up with clementines and dried key limes. 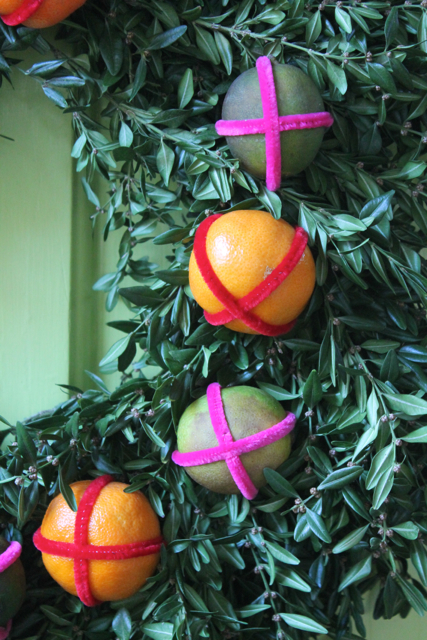 Just wire the fruit to the wreath with bright pipe cleaners.